We are ShowBiz blog take pride in each and every feature article here. In that line, we've been doing a lot of study of recent ShowBiz accomplishments and new founds. It is a new age studio founded by the young and rising star Alex Kinter. Now, for those who are not following ShowBiz and the recent trends of going all mobile and streaming content on mobile apps, Solarity Studios is a great example of doing all this and even producing an amazing short film. About Alex Kinter - he is the founder of Solarity Studies an entertainment production company. Having worked with entertainment host Paul Salfen and many shows such as The Drew Pearson Show, Sports Plus and Inside Entertainment, Alex is a fine tuned entertainment professional with a fine knack for talent, we can say. Alex Kinter on smartshoot - https://www.smartshoot.com/dallas-director-alex-kinter, here's where Alex can be reached! More about Solarity Studios which publishes at Vimeo - https://vimeo.com/solaritystudios which has already completed its maiden production - the short film Alone at the Pool, is focused on producing and creating quality content for the ShowBiz and entertainment world. 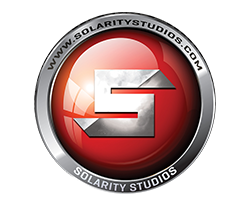 Solarity Studios is headquartered in Dallas and has offices in Los Angeles, New Orleans, Chicago, New York and Miami. Alex's company specializes in music videos, commercial production, corporate videos, television cinematography, aerial cinematography, motion graphics, photography, digital marketing and branded content creation. So no matter where the production and category is, Solarity Studios has got it covered!